Come chill with Zo! 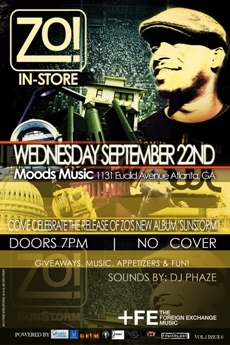 at Moods Music and listen to the sounds of his latest release, SunStorm, presented by Phonte & Nicolay. Atlanta, DJ Phaze, Moods Music, Nicolay, Phonte, Zo!